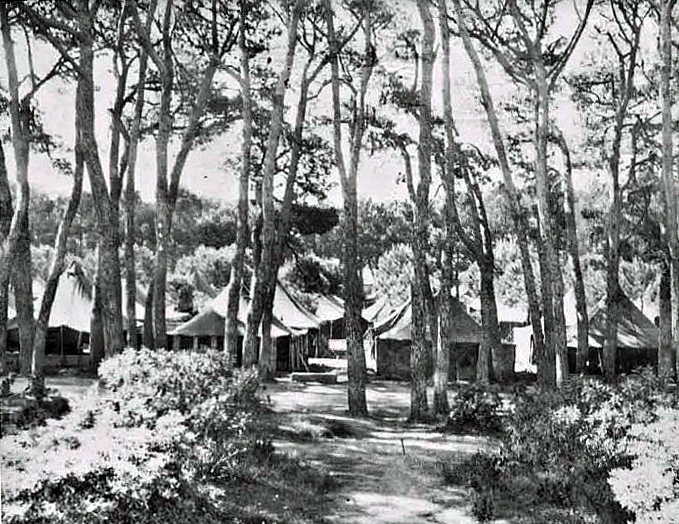 Tents of the 15th BG / 885th & 859th BS were pitched in neat rows, gravel walks laid, a canopy of shade overhead. Castiglioncello, Italy. April 1945.